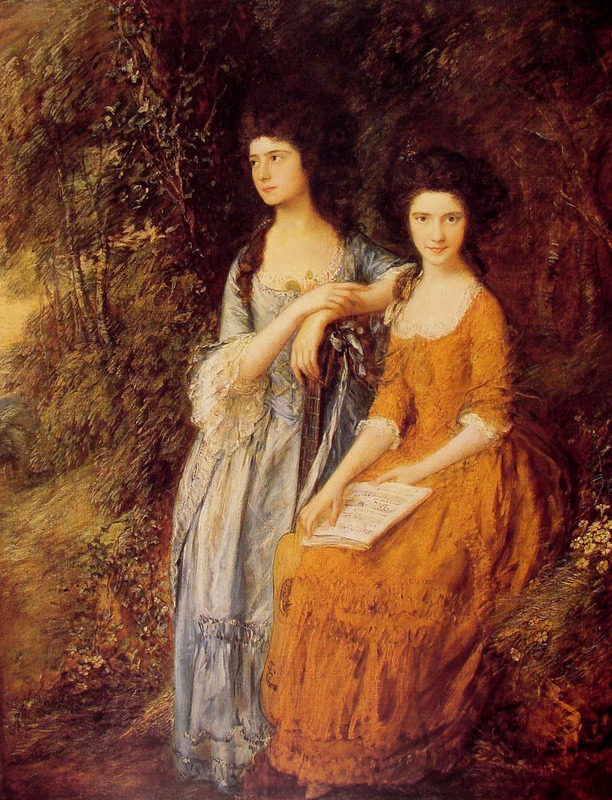 Elizabeth, or Eliza as she was commonly called, Linley was born, in 1754, into a musical family. 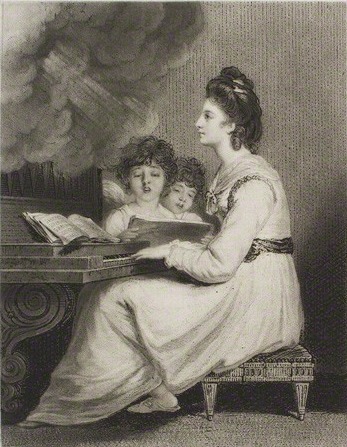 Her father was the famous composer Thomas Linley, who was said, at the time, to have restored the sublime music of Handel. 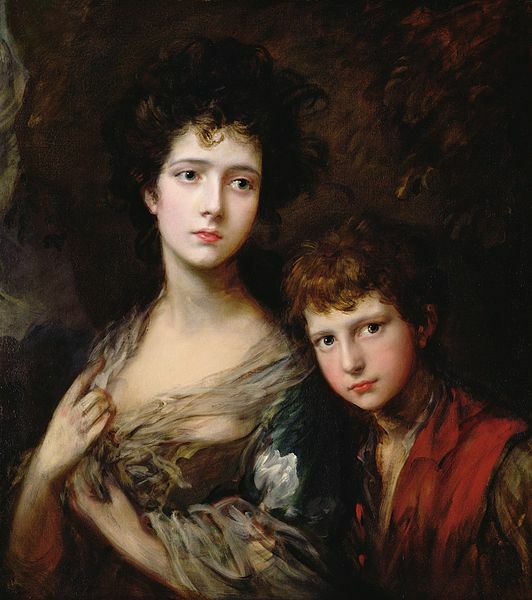 Thomas and his wife Mary raised 12 children, all of whom were musically gifted. "A nest of nightingales," the family was called. Their son Thomas, who died aged only 24, was an excellent violinist and a friend of Mozart. But the true star of the family was Eliza. By the time she was 14, she was a talented Soprano who attracted crowds to her own shows. Nicknamed "the Fair Maid of Bath", Elizabeth was also beautiful. 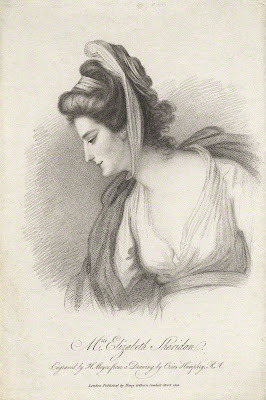 Tall and slender, with dark hair and pale porcelain skin, she drew the attention of men, including the King who, according to Walpole, "ogles her as much as he dares to do in so holy a place as an oratorio, and at so devout a service as 'Alexander's Feast.'" 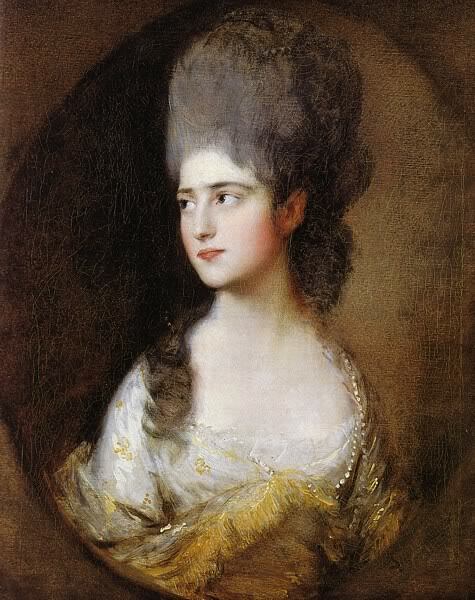 But it was the playwright Richard Brinsley Sheridan, a friend of the Linley family, who won her heart. How could Eliza resist a man who wrote her beautiful poems, in which he professed her love and devotion to her? "Dry that tear, my gentlest love; Be hushed that struggling sigh; Nor seasons, day, nor fate shall prove More fixed, more true than I. Hushed be that sigh, be dry that tear; Cease boding doubt, cease anxious fear; Dry be that tear," he penned for her. But Thomas wanted her to marry a certain Walter Long, a rich man who was old enough to be her grandfather. Not only would the marriage bring wealth to the family, but it would also prevent Eliza from pursing a career on the stage. Eliza, however, had other ideas. Rumour had it that she begged Long to break off the engagement. 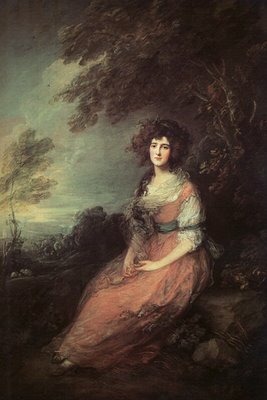 Now free, Elizabeth eloped to France with Sheridan. The couple was married in a little village near Calais in March 1772. The marriage, however, wasn't valid as both the bride and the groom were underage. Neither of their fathers approved the match, but, eventually, Thomas capitulated. To save his daughter's reputation, he begrudgingly gave his blessing to the union and the couple was married again in London in April 1772. Eliza quit her job and moved with her husband to East Burnham. The poor girl suffered from ill health and miscarriages throughout their marriage. But in 1775, she gave birth to a son, Tom. Unfortunately, her husband's constancy didn't prove as longlasting as he had vowed in his poem. He started cheating on her and, eventually, the couple began to live separate lives, appearing only occasionally together in public. Devastated and lonely, Eliza succumbed to the charms of the good-looking Lord Edward Fitzgerald. When she became pregnant with a daughter, she couldn't hide the affair from her husband anymore. But rather than casting her out, Sheridan, who felt guilty for cheating on her and neglecting her, supported his wife throughout her difficult pregnancy. After the birth of her daughter, Elizabeth suffered from tuberculosis. Sheridan took her to Bristol, hoping the wells would improve her health. It didn't work. She died on 28 June 1792. Sheridan was distraught and went mad with grief. But he wasn't the only one to mourn his wife. The carriage at her funeral could barely proceed along the street to Wells Cathedral because of the large crowd of people who had come to say goodbye to the Fair Maid Of Bath. Elizabeth's daughter Betsy, who Sheridan had accepted as his own, would follow her mother in the grave a few months later.